Here at Space Monsters Command Center we have just had a communication from our fiends at Grimmfest and thought we’d better share their news! In case you don’t know, Grimmfest is a very cool horror festival taking part in Manchester, UK in October so if you’re a fright flick fan it’s worth checking them out! ” Its that time of year again folks! Submissions for Grimmfest 2015 are open and we’re looking for the best in Horror, Cult, Weird, and Fantastic movies for our early October festival. If you think this applies to your very own cinematic offspring, then we’d love to see your movies! UK and World premières are not essential but premières will be preferred. Films must be available on professional formats, and there will be a small charge for submission to help cover administration costs. For further information, please download the appropriate submission form or contact the team: info@grimmfest.com with the subject line ’2015 Festival Submission Inquiry’. 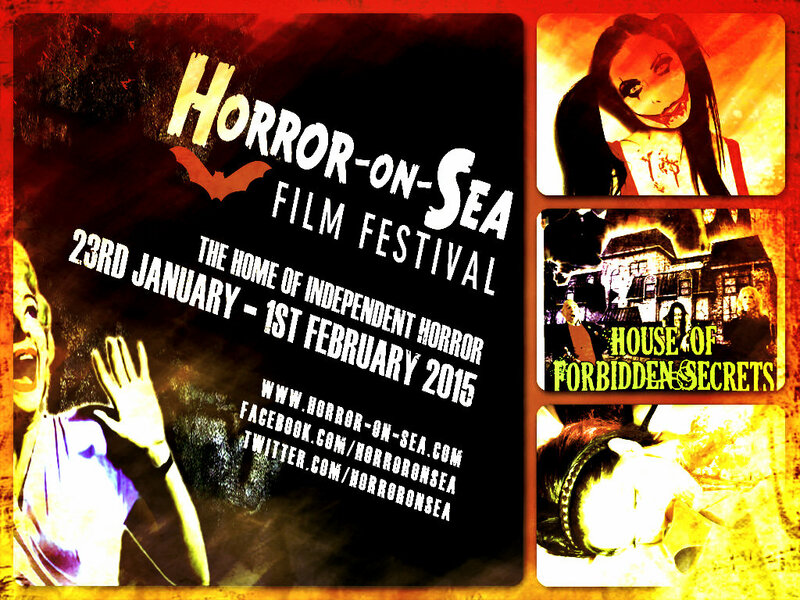 THE UK’S PRINCESS OF HORROR PREMIERES TWO MOVIES AT THE “HORROR-ON-SEA” FILM FESTIVAL! That’s the promise from the impresario behind Southend’s hugely successful Horror-on-Sea Film Festival, as the event returns for a third-successive year. The fun starts on Friday 23rd January at the event’s regular haunt, the Park Inn by Radisson Palace hotel located at the top of Pier Hill, with the second part – the Rest of the Fest – running from Friday 30 January at the White Bus Cinema, in the TAP building, on North Road, Southend. Not only will this be welcome news for the local eek-onomy but also die-hard fans, as Paul and his colleagues at the White Bus have negotiated discounted accommodation rates available at the festival’s principal venue, the Park Inn by Radisson Palace Hotel, overlooking the seafront and world-famous pier. 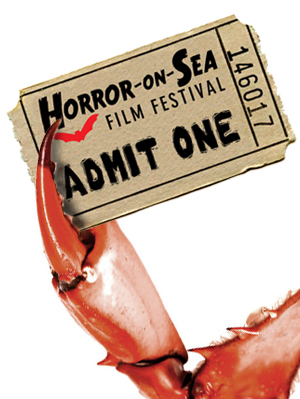 The 2015 edition of Horror-on-Sea will feature nearly sixty brand new, independent horror films from thirteen countries around the world; including the USA, Belgium, Finland, Serbia, Portugal and Australia. Highlights will include a screening of Spencer Estabrooks’ monsterific Sharkasaurus (from 3pm, Sunday 25 January) followed by a discussion with the cast and crew, a Grime House Premiere (from 8pm, Sunday 25 January) – in which a short made during the Festival will be screened for the very first time and the return of the ever-popular writer and director, Pat Higgins (KillerKiller, Hellbride, Trash House, Bordello Death Tales). Pat will be delivering a masterclass, in his own inimitable style, about How Not To Make A Horror Movie (Saturday 24 January, at 3pm). 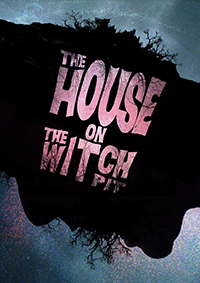 The bill promises an absolutely monster smorgasbord of spine-chilling terror, with zombies, serial killers, call girls, vampires, werewolves and conjoined twins running amok. As ever, the movie’s titles are equally bizarre and, in some cases, bafflingly prosaic; such as Potty Mouth, Kill, Granny Kill! and Bernard. 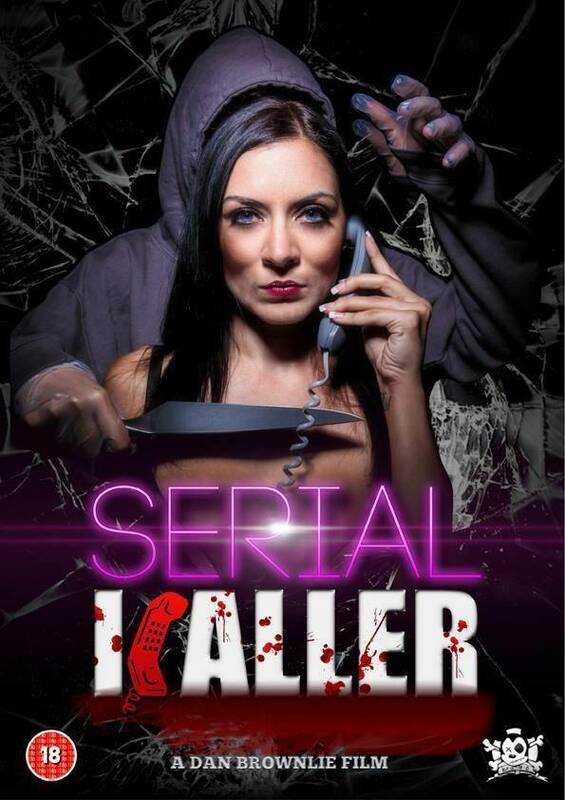 And Space Monsters Magazine ‘s newest celebrity columnist, actress and producer Dani Thompson will be there to introduce the premieres of two of her recent horror films Serial Kaller and Axe to Grind both co-starring American genre legend Debbie Rochon. Dani is currently preparing to shoot a new sci-fi monster film called GirlForce with Dave Prowse (Star Wars), Francoise Pascal (Mind Your Language, The Iron Rose) and Alex Reid (actor, cage fighter, singer and charity fundraiser) as well as completing production on the new werewolf flick Bad Moon Rising. 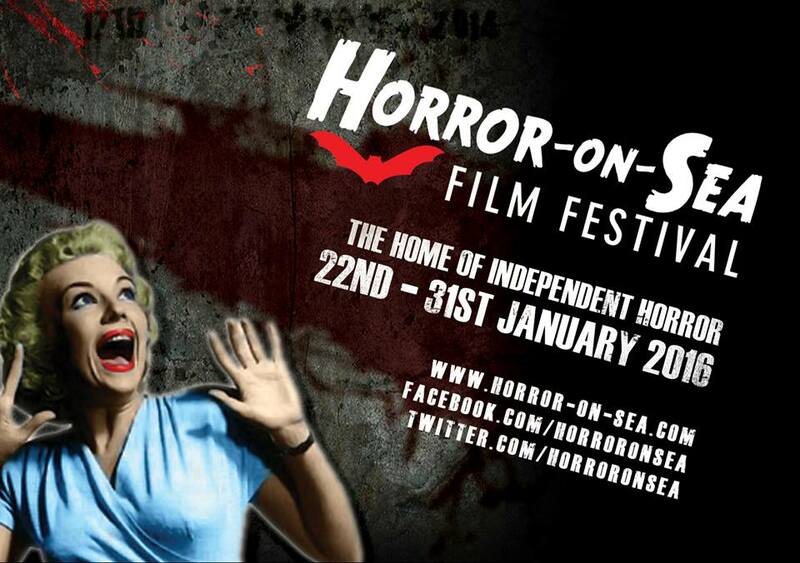 STALLS WANTED FOR ALL-DAY HORROR EVENT IN BOURNEMOUTH IN JANUARY! 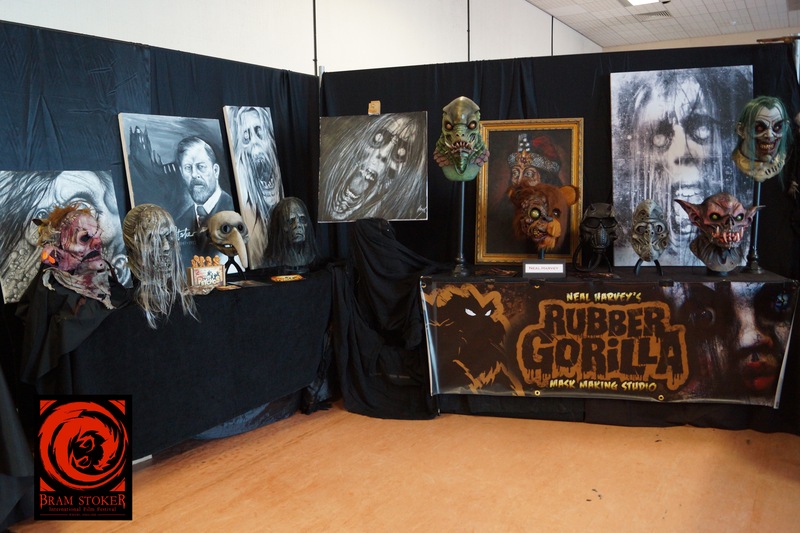 Cinema Surgery is a cool new horror event launching in Bournemouth on Sunday 19th January 2014 – from 10am to 4pm there will be a movie and TV Memorabilia Fair with stands selling videos, DVDs, books, magazines, posters, stills, clothing and much more – entry just £3.00!! There are still a few slots open for those wishing to have a stall at the Memorabilia Fair so just email Gary Baxter at Cinema Surgery (gsbaxter303@hotmail.com) if you’re interested – and the great news is, there’s NO CHARGE to have a stall! 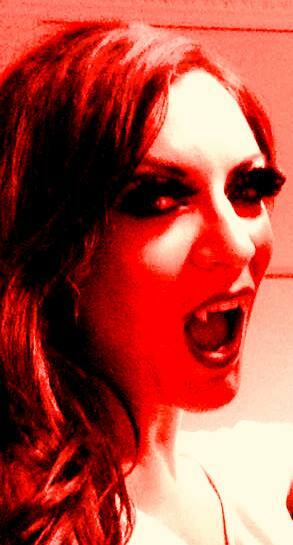 Fang-tastic! There will also be special guests Caroline Munro (Dracula AD1972, The Spy Who Loved Me, Golden Voyage of Sinbad, Maniac), Emily Booth (Horror Channel, Evil Aliens, Doghouse, Inbred), Damien Thomas (Twins of Evil, Sinbad and the Eye of the Tiger, Blakes 7) and Space Monsters Magazine‘s very own Cyberschizoid (Classic Horror Campaign, Frighten Brighton, British Horror Film Festival). 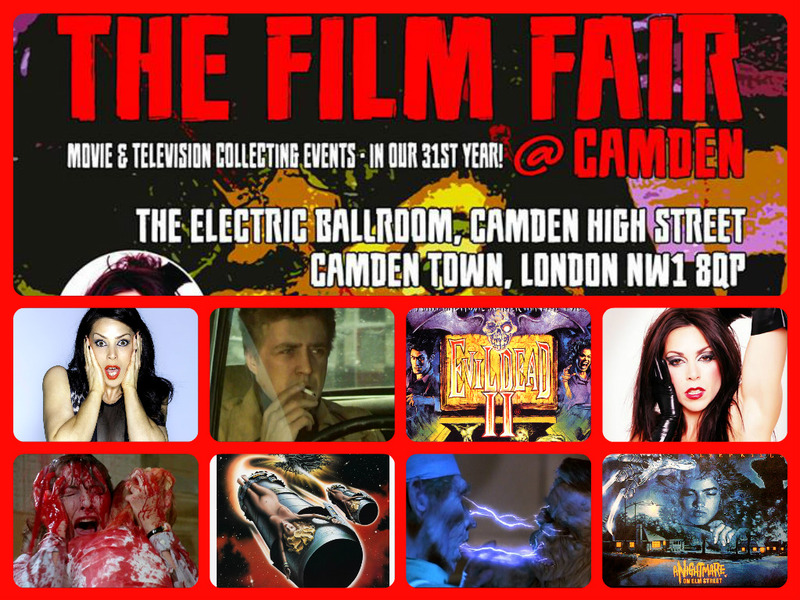 From 5pm – 8pm there will be a special screening of two Caroline Munro movies followed by a Q & A with the star herself. 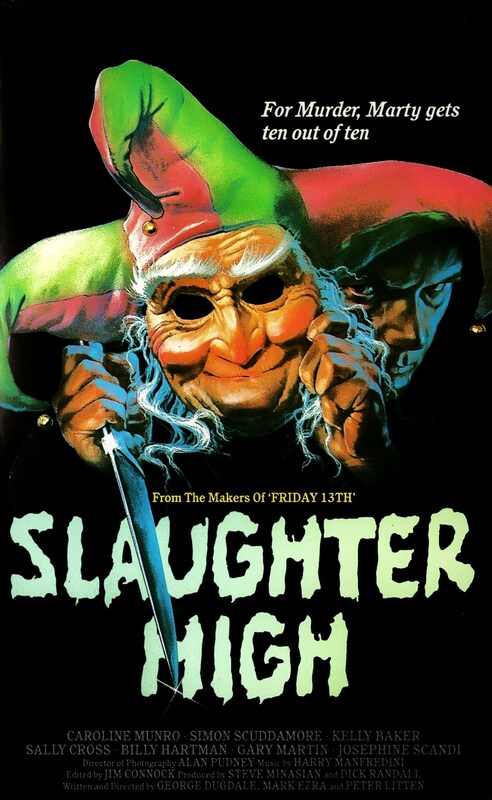 Up first is the Bournemouth premiere of brand new horror short The Landlady and this is followed by a special presentation by Arrow Video of Munro’s classic 80′s slasher Slaughter High – all this for only a fiver – tickets available on the day, first come, first served. There are still a few slots open for those wishing to have a stall at the Memorabilia Fair so just message Cinema Surgery on Facebook or email Gary Baxter (gsbaxter303@hotmail.com) if you’re interested. 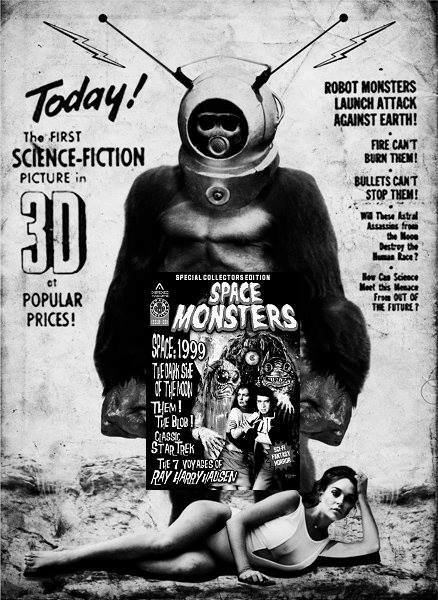 And don’t forget, you’ll also be able to buy copies of Space Monsters Magazine including the brand new issue 3 on the day! 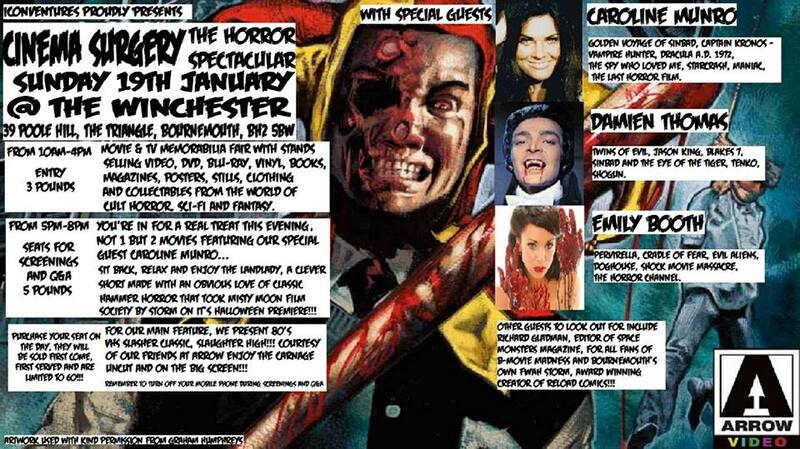 JOIN “SPACE MONSTERS MAGAZINE”, CAROLINE MUNRO, EMILY BOOTH AND DAMIEN THOMAS AT “CINEMA SURGERY” – HORROR EVENT! Looking ahead to early next year Space Monsters Magazine would like to invite you to join us for a cool horror event in Bournemouth on Sunday 19th January 2014 – Cinema Surgery! From 10am to 4pm there will be a movie and TV Memorabilia Fair with stands selling videos, DVDs, books, magazines, posters, stills, clothing and much more – entry just £3.00!! There will also be special guests Caroline Munro (Dracula AD1972, The Spy Who Loved Me, Golden Voyage of Sinbad, Maniac), Emily Booth (Horror Channel, Evil Aliens, Doghouse, Inbred), Damien Thomas (Twins of Evil, Sinbad and the Eye of the Tiger, Blakes 7) and Space Monsters Magazine‘s very own Cyberschizoid (Classic Horror Campaign, Frighten Brighton, British Horror Film Festival). 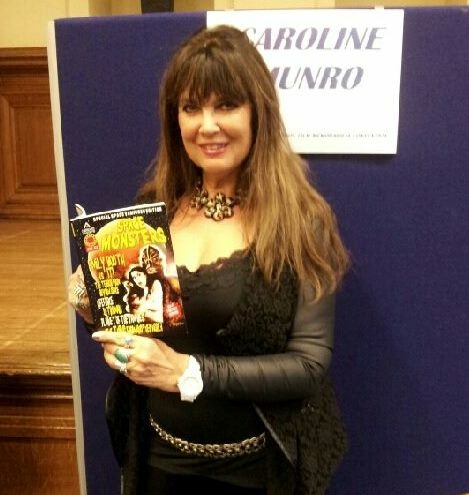 From 5pm – 8pm there will be a special screening of two Caroline Munro movies followed by a Q & A with the star herself. 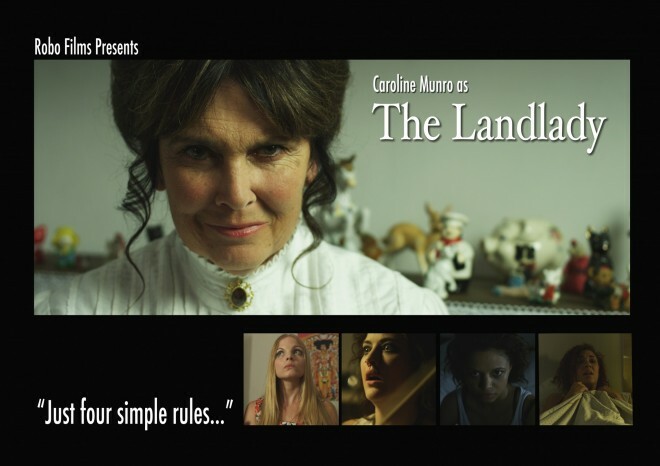 Up first is the Bournemouth premiere of brand new horror short The Landlady and this is followed by a special presentation by Arrow Video of Munro’s classic 80’s slasher Slaughter High – all this for only a fiver – tickets available on the day, first come, first served. There are still a few slots open for those wishing to have a stall at the Memorabilia Fair so just message Cinema Surgery over on Facebook if you’re interested. 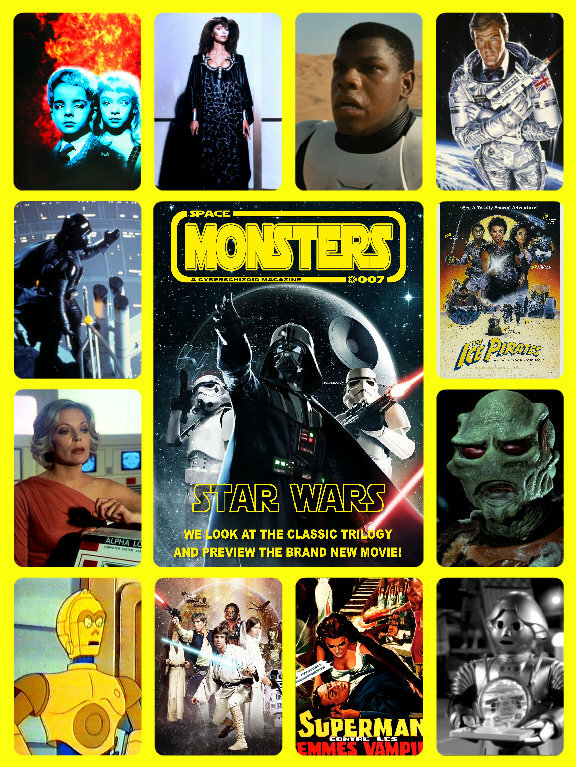 And don’t forget, you’ll also be able to buy copies of Space Monsters Magazine including the brand new issue 3 on the day! So save up your pennies, put the 19th January 2014 in your calendars and join us at Cinema Surgery at The Winchester, 39 Poole Hill, The Triangle, Bournemouth, BH2 5BW. Be there…and be scared! 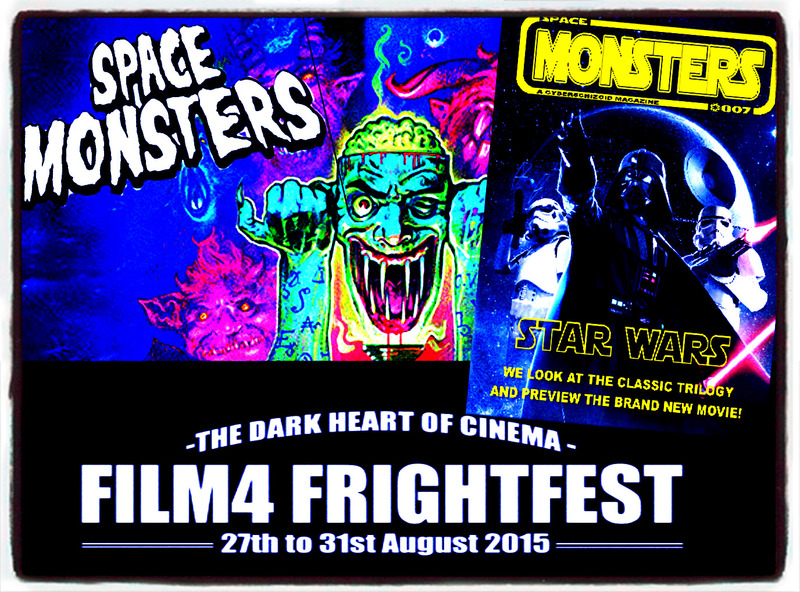 FOUR DAYS OF FANGS, FUN, FREAKY SCI-FI FLICKS AND FEARSOME FRIGHT FILMS! So, Halloween is over and with snow on the way most people are now looking forward to Christmas but Space Monsters Magazine is already looking forward to next October and the 2014 Bram Stoker International Film Festival! We had such an amazing time this year and were made to feel so welcome by the festival organisers and the wonderful people of Whitby that we can’t wait for next year’s event which is going to be bigger than ever running for five days from 23rd to the 27th October 2014! 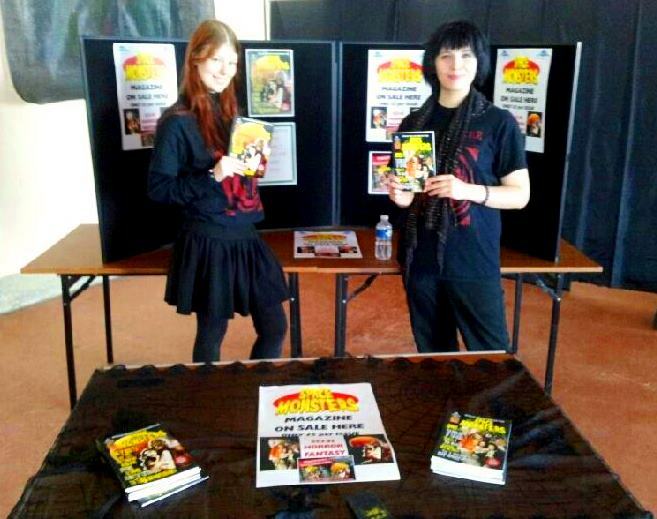 At this year’s festival there were numerous world and UK premieres of brand new horror feature films and shorts, a separate screening room for classic sci-fi, horror and B-movie fans, a spooktacular Dark Art exhibition, a Space Monsters Magazine stall, horror talks and film lectures. 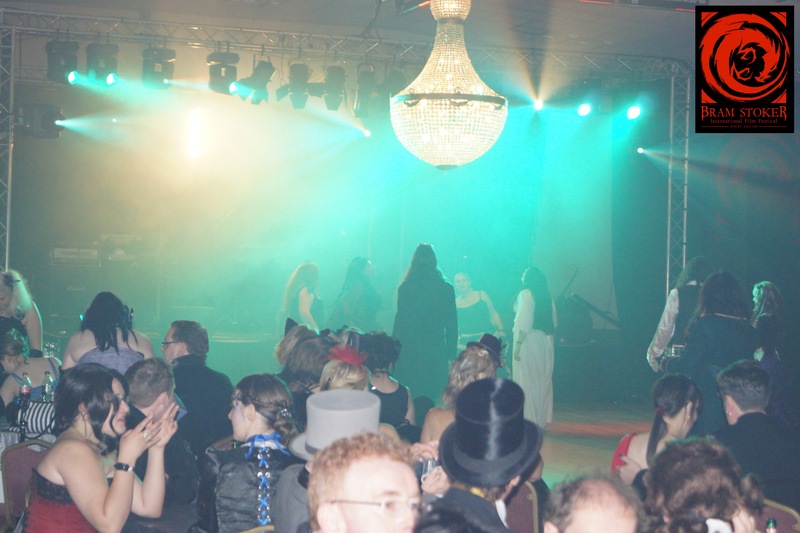 You could also dress up and attend the legendary Vampire Ball, the 1880’s night, cabaret, live bands, magic and more! 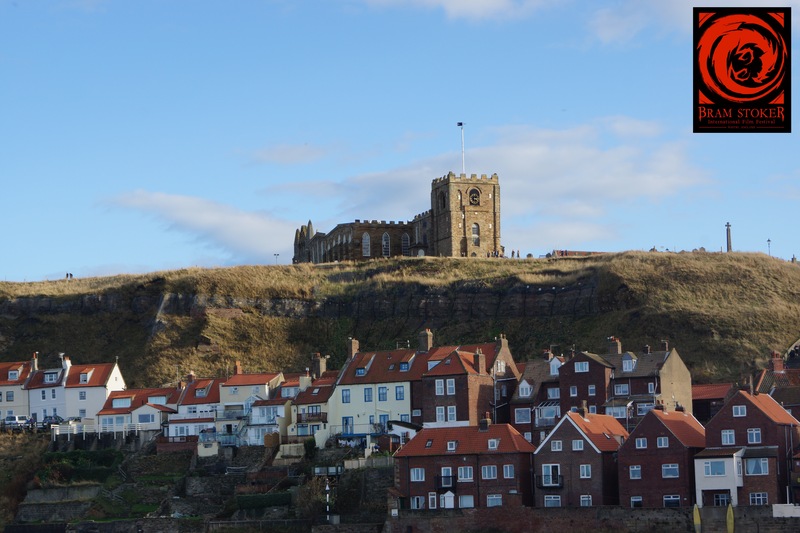 And that’s not all; Whitby is a stunningly beautiful historic town which is forever linked with the legend of Bram Stoker’s Dracula and fully embraces its gothic and horror film fan visitors. There are hundreds of independent shops, cafes, pubs and restaurants as well as the Dracula Experience, Whitby abbey, gorgeous scenery and the best fish and chips in Yorkshire. 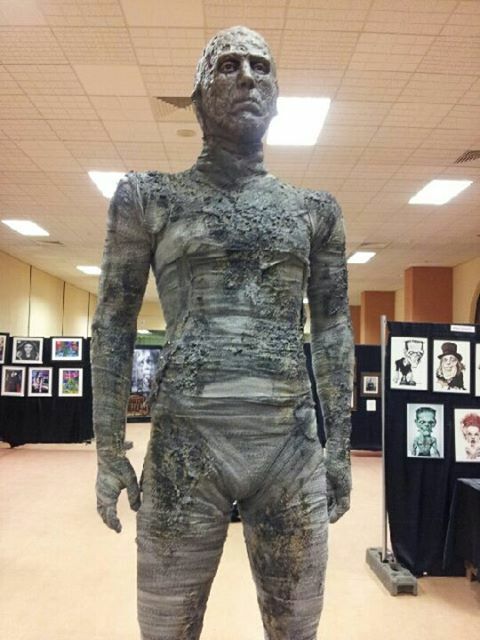 If these aren’t enough reasons to attend next year’s Bram Stoker International Film Festival then check out the pics below and check out the Cyberschizoid website for an even bigger Bram Stoker International Film Festival gallery! SPECIAL PREVIEW! 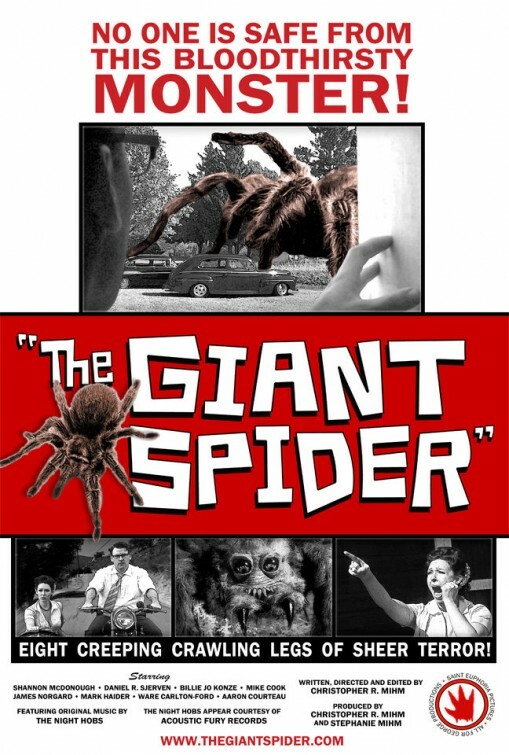 THE VERY BEST AND WORST OF B-MOVIES! What are you doing from Thursday 24th – Sunday 27th October? Well, whatever it is – cancel it now and book your tickets for the UK’s biggest genre movie event of the year – the Bram Stoker International Film Festival! 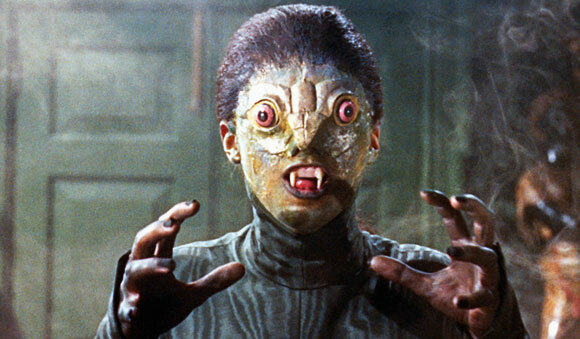 Not only will there be a spooktastic amount of brand new horror movies from around the globe, including many world, UK and European premieres, there is something extra special for Space Monsters readers and lovers of classic horror, sci-fi and monster movies! 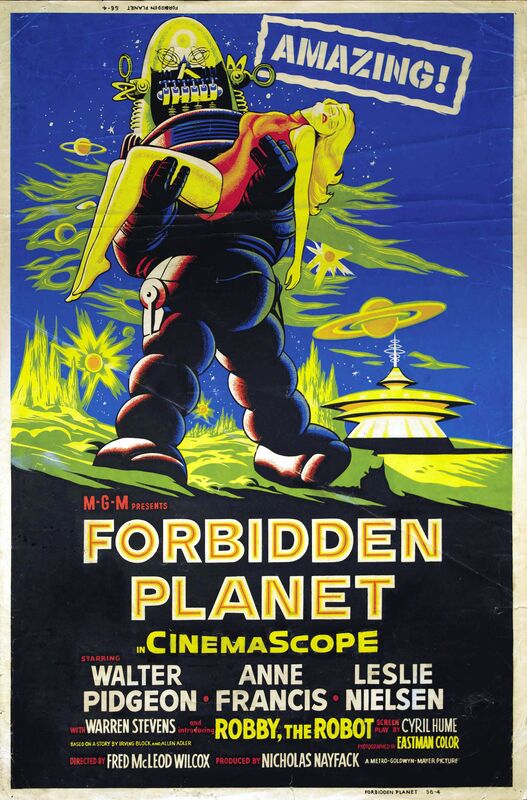 Sultan’s Sci-Fi Suite is a completely separate screening room showing an amazing collection of B-Movies over the four day festival taking place at the Spa Pavilion in Whitby! 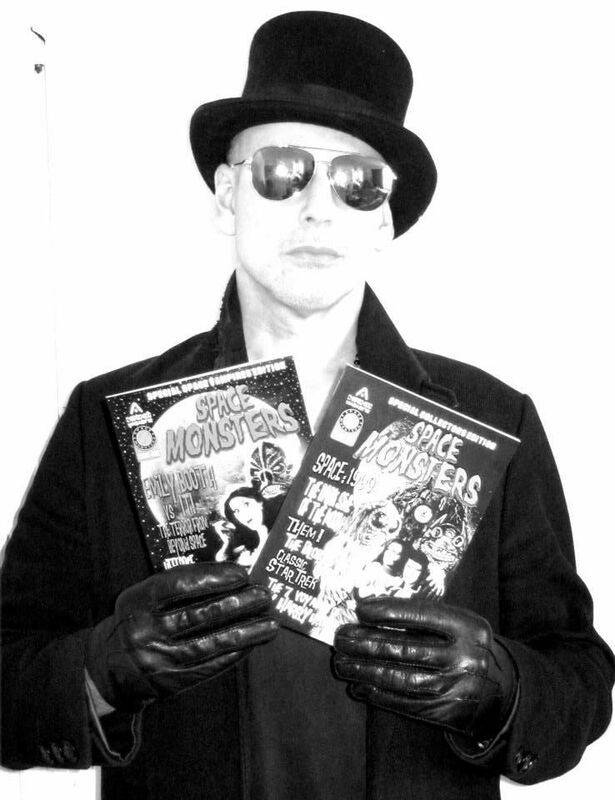 Not only that but Space Monsters magazine will be there to join in the fun and you’ll be able to buy copies of issue one and two throughout the festival – so don’t delay – buy your tickets today! Don’t forget, you can also order the BRAND NEW issue of Space Monsters magazine right now from Hemlock Books and the Classic Horror Campaign website. Issue 2 is a “space vampires” special and features columns by journalist and artist Billy Chainsaw and the UK’s Mistress of Horror Emily Booth! 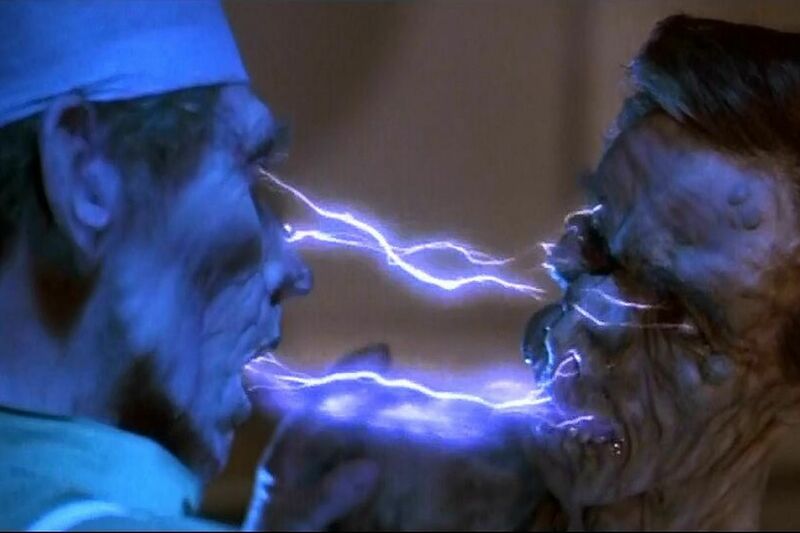 You will also find reviews, articles and exclusive artwork on Tobe Hooper’s Lifeforce, It! The Terror From Beyond Space, Ultraman, Queen of Blood, Not of This Earth, Horror of the Blood Monsters, Astro-Zombies, Buck Rogers in the 25th Century, Planet of the Vampires and much more! MOON MONSTERS LAUNCH ATTACK AGAINST EARTH! 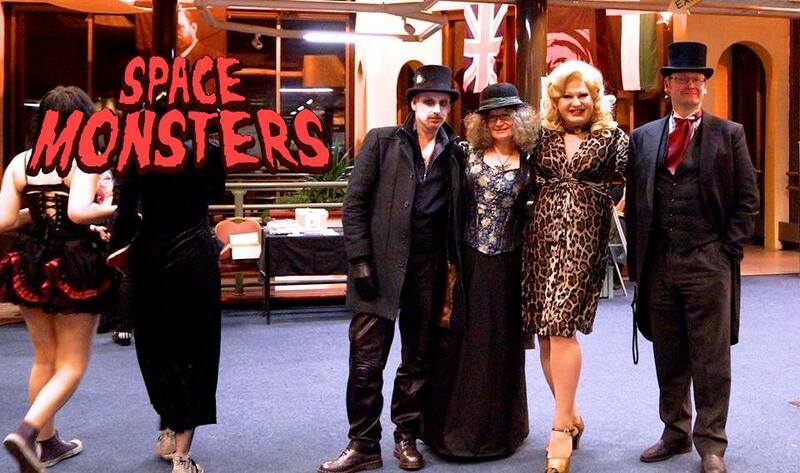 Here at Space Monsters magazine we can barely contain our excitement at the news we’ve just received from those super space cadets at the Bram Stoker International Film Festival in Whitby, North Yorkshire. 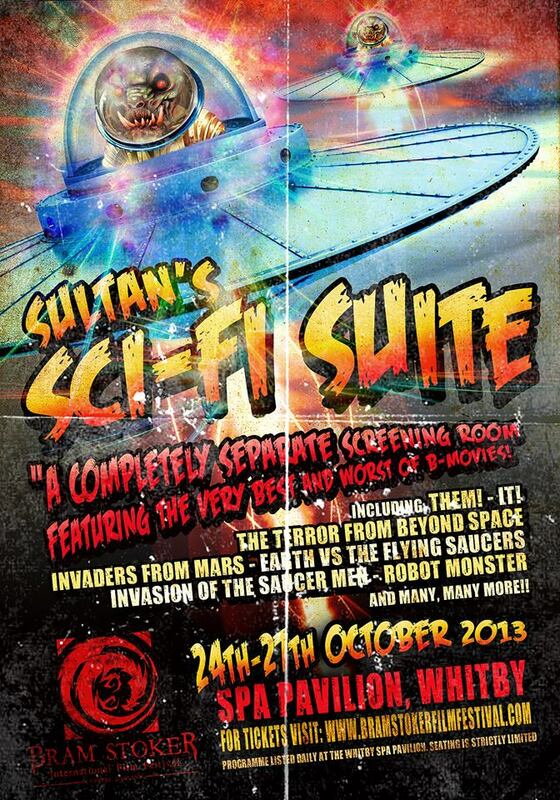 Not only are they screening a whole graveyard full of UK and world premieres of the latest horror films from around the globe but festival life president Sultan Saeed Al Darmaki has created Sultan’s Sci-Fi Suite, a room devoted entirely to classic sci-fi, monster and B-movies! 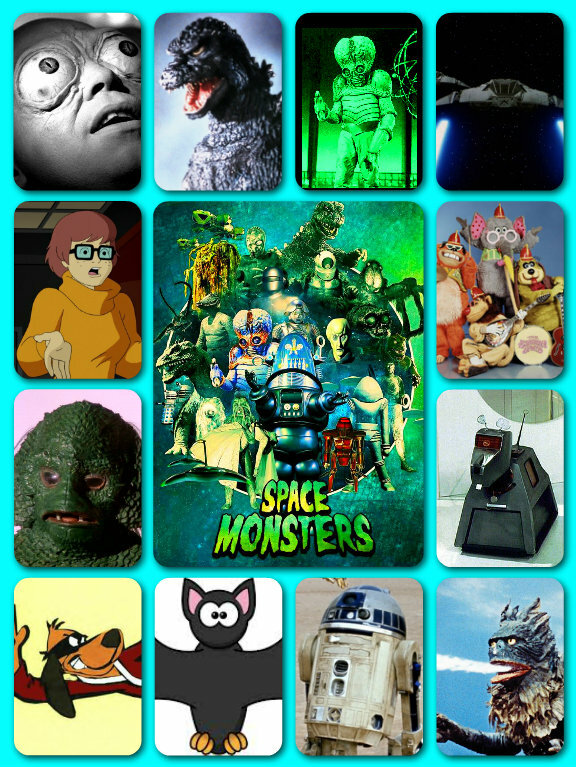 Some of our favourite crazy creature features will be screening during the festival which takes place from Thursday October 24th – Sunday October 27th including the hilariously “so bad it’s good” cheese-fest Robot Monster! 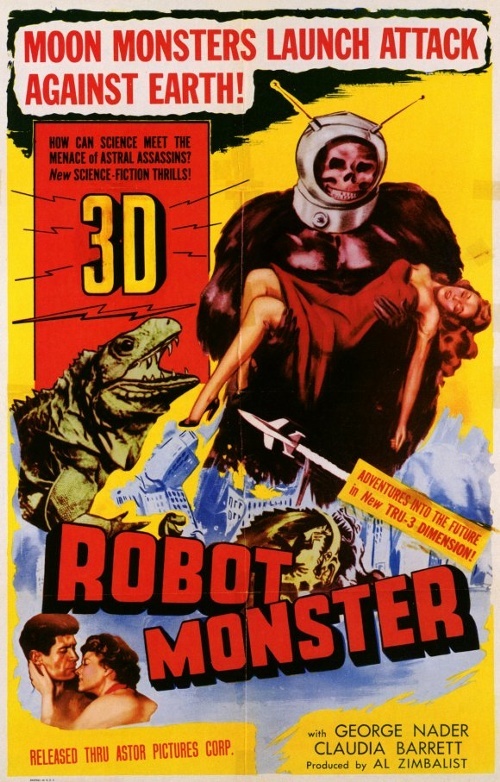 Robot Monster (1953) tells a terrifying tale of an invasion of Earth by a space gorilla in a diving helmet who menaces the planet’s surviving inhabitants with his trusty bubble machine! 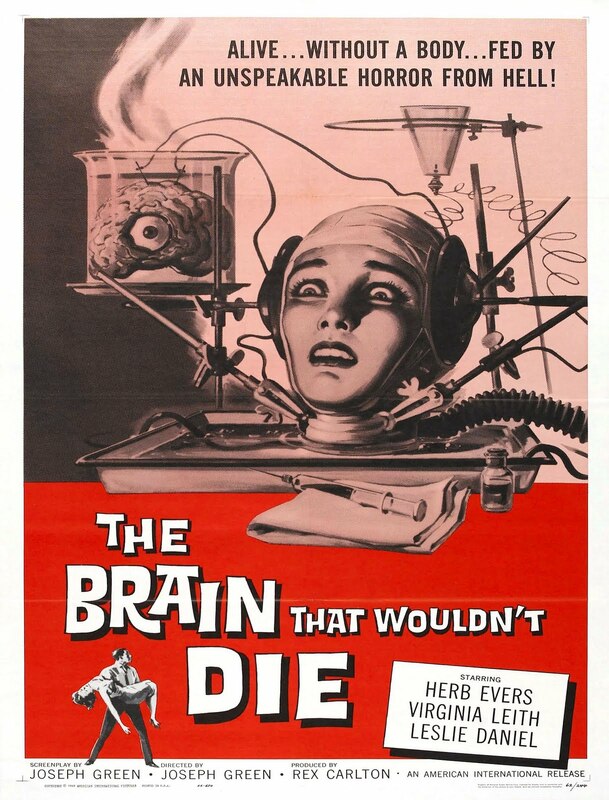 Directed by 25 year old Phil Tucker and made on a budget of just $16,000 the film actually took an impressive $1000,000 at the box office although it has the reputation of being one of the worst films ever made – but that’s just the way we love ’em! 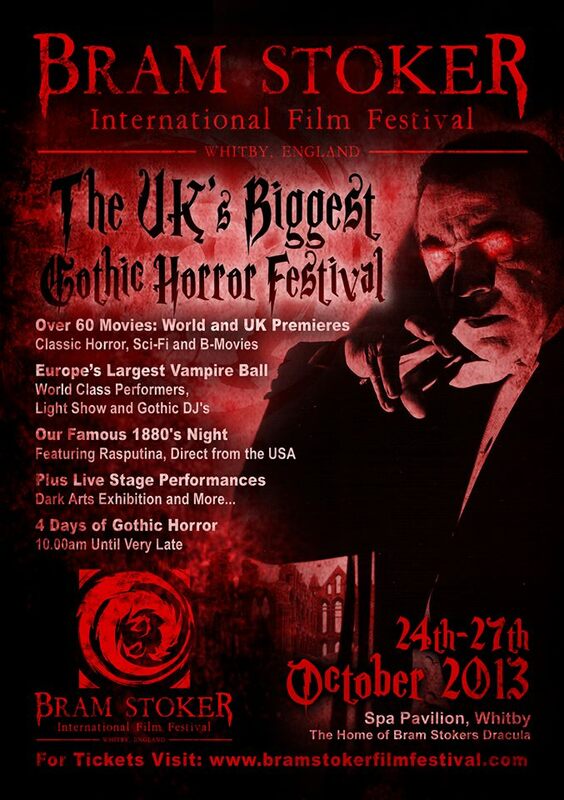 As well as Robot Monster, the Bram Stoker International Film Festival will also be showing Them! (1954), Earth Vs. 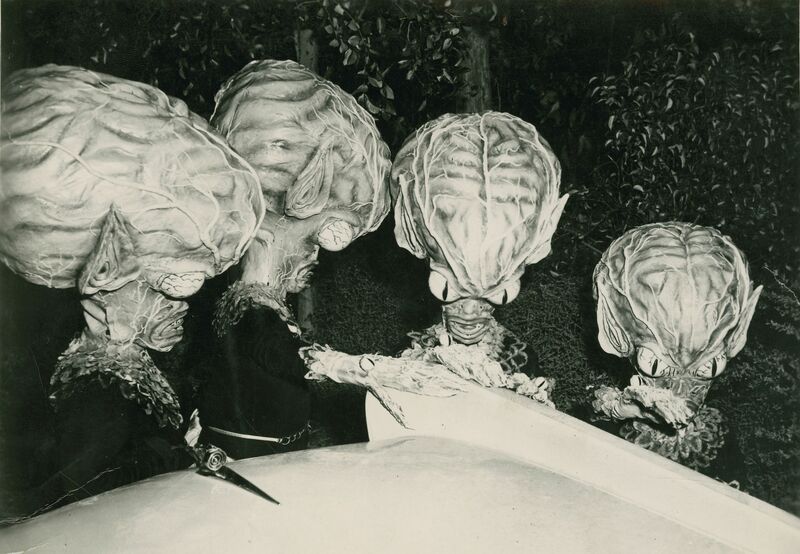 The Flying Saucers (1956), Invasion of the Saucer Men (1957), Forbidden Planet (1956), It! 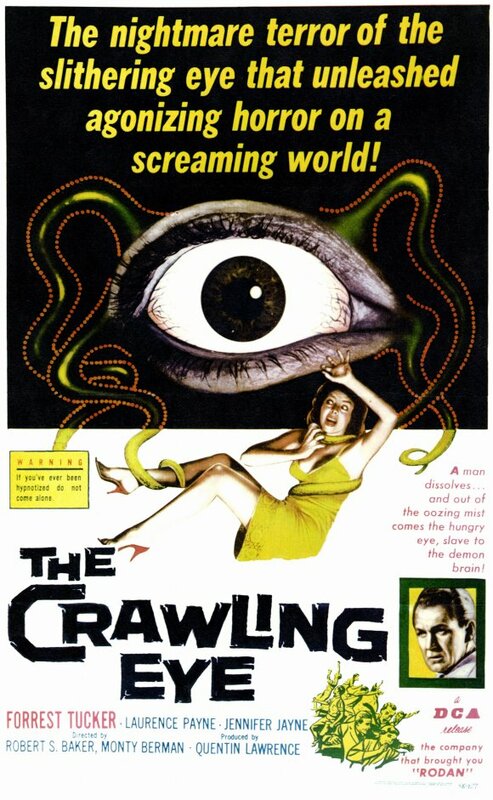 The Terror From Beyond Space (1958), Quatermass and the Pit (1967) and many more sci-fi classics! Not only that, but there will also be live theatre, special guests, live music, the legendary Vampire Ball, gothic cabaret and the groundbreaking Dark Art exhibition! Make sure you get your tickets and passes before they sell out! Just follow this LINK….